18-year old pianist Eric Lu is rapidly building an international reputation as a young pianist with enormous promise, and a distinctive musical voice. 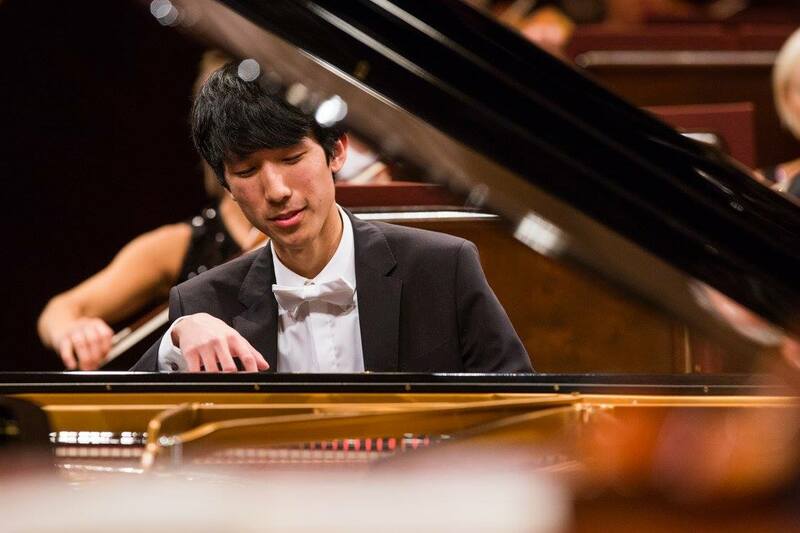 A native of the Boston, Massachusetts area, Eric is the 1st prize winner of the 2015 US National Chopin Competition in Miami, where he also received the best concerto prize, and the IX Moscow International Chopin Competition for Young Pianists. In October 2015, at 17 years old, Eric won the 4th prize at the 17th International Fryderyk Chopin Competition in Warsaw, becoming one of the youngest laureates in the history of the competition. Earlier achievements include 1st prizes at the XII Ettlingen International Competition in Germany(2010), the Minnesota International e-Piano Junior Competition(2013). Described by the New York Classical Review as a musician of ?exceptional musical sensitivity?, as well as by Michael Moran from the Duszniki Festival proclaiming, ?The tone he produced was luminous, the articulation spellbinding and exciting, the legato and bel canto desperately moving.? Highlights of the 2015-16 season included performances at the Auditorio Nacional de Madrid, Beijing Concert Hall, Seoul Arts Center, Tokyo Metropolitan Theatre, Osaka Symphony Hall, Sapporo Concert Hall, Chopin and his Europe Festival in Warsaw, Krakow Philharmonic Concert Hall, Nohant Chopin Festival, among others. Previously he has given recitals at Carnegie Hall in New York and at the 70th International Chopin Festival in Duszniki-Zydrój, Poland. Eric has collaborated with orchestras such as the Warsaw Philharmonic, Minnesota Orchestra, Orquestra Clasica Santa Cecilia, New Jersey Symphony, Sinfonietta Cracovia, Rzeszow Philharmonic, Cincinnati Chamber Orchestra, State Youth Orchestra of Armenia, etc. He started piano studies at the age of 6 with Mrs. Dorothy Shi. While at the New England Conservatory Preparatory School, he studied piano with Alexander Korsantia, and Mr. A. Ramon Rivera. In 2013, Eric entered the Curtis Institute of Music in Philadelphia, where he currently studies with Profs. Robert McDonald and Jonathan Biss. He is also a pupil of pianist Dang Thai Son.